How is it that we’re less than halfway through January and I’m already behind and having to skip over some books I really wanted to read? Below are some books from January that I’m dying to read, but haven’t started yet. Links below to go Indiebound, but are not affiliate links because, frankly, I was too lazy to bother with them. Not only is this a new historical fantasy novel about the Arthurian legend, it is also a trilogy and ALL of the books will be out by this summer, the third comes out in August. I believe it was first published in Australia, so we don’t have to wait for the author to write more – my favorite kind of trilogy. Unfortunately, I have a conflict and just can’t start it yet. I mean, this book opens with a confession from a teenage girl that she spent that day, her fifteenth birthday, burying her parents. I’m pretty sure that sold me right there. I also happen to know that Nicole read the whole thing in a day, and she has a great interview with Lisa O’Donnell. I went to high school with Grant and he was in probably, oh, say, 1/3 of my classes. That is reason enough for me to want to read his book, but it is also getting nice reviews, like this from the Boston Globe. At one point I had this as an egalley on my Nook, but I wasn’t able to get to it over the holidays as I had hoped and it expired, so I’ll have to get another copy. Fear of Beauty is a thriller set in an Afghan village, told from the point of view of an Afghan mother and a US Army Special Ranger. What interests me is that this seems to be deeper and more literary than a typical military thriller. Also, the cover is just gorgeous and haunting. Iran! Twins! Yeah, this isn’t a happy, joyful story, but it sounds beautiful and wonderful and OMG WHY HAVEN’T I READ IT YET? 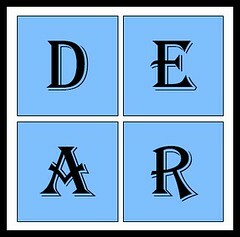 January 16th, 2013 | Category: D.E.A.R. I’m trying my best to not overcommit on the new books. It’s not easy, but there are too many books. Thanks for the head’s up on the Merlin Prophecy. It sounds right up my alley.